Thank you for taking the time to view my profile. I love my job and would like to know how I can help you with your real estate needs. I am a full-time, professional Realtor® and have been with Coldwell Banker Residential Brokerage since 2006. I work with buyers and sellers in the metro area. 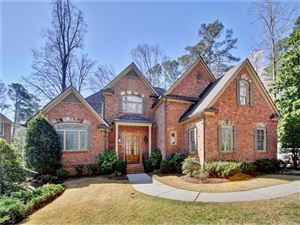 I specialize in the in-town neighborhoods of Buckhead, Brookhaven, Brookwood Hills, Sandy Springs, Chamblee and Doraville. I am dedicated to my clients. I know that building a successful real estate business depends upon repeat clients and their referral of friends and family. I strive to make every purchase and sale an exceptional experience. I am originally from Ann Arbor, Michigan. After college I enjoyed a successful career in corporate retail working for companies such as Kmart, Tommy Hilfiger and Stein Mart. In 2005 I found myself ready for a change of pace. An experienced buyer, seller, fixer-upper and mover at this point - I knew real estate must be my calling! After earning my license, I chose to work with Coldwell Banker because they offer the most advanced property marketing tools in the industry. One of my top priorities is keeping current with real estate trends. Internet and social media marketing is vital to keeping pace with today’s global network of buyers and sellers. Like you, 96% of buyers and sellers use the internet during their purchase/sale cycle! Working with Sellers, my priority is to ensure my clients receive the optimum price for their home. This requires experience, communication and teamwork between the seller and their agent. I am your advocate from pre-listing preparation to the closing table. Working with Buyers, I take pride in helping my clients find a home which fits their specific needs. It is important to have a professional partner who will listen, negotiate and represent your best interests.